Live on site at Glenside in your own shared, self-catered flat, this is ideal for Health and Applied Science students. Located in the middle of the Glenside Campus, it’s the perfect choice if you want to be close to where you’re studying, and have facilities closeby, like the Glenside Campus café/bar, shop and launderette. Fishponds high street is also a short walk away, with its independent shops, cafes and bars. And Frenchay Campus is easy to get to, if you want to make use of facilities like the Students’ Union or Centre for Sport. Single bed, wardrobe, desk, chair, bookshelves, bedside cabinet, desk lamp, vanity sink (except in extra small room), mirror. Flats of five or more - as above, plus separate shower room and separate toilet. All flats - kitchen with cookers, microwave, kettle, fridge/freezers, bins, storage cupboards, ironing board. Other features Customer service desk at Frenchay Campus, onsite staff to help with any issues. 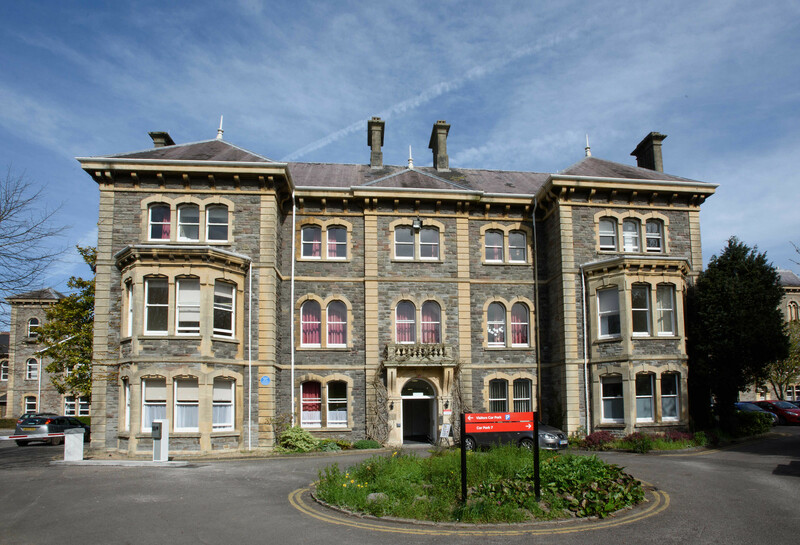 Glenside accommodation, UWE Bristol, Blackberry Hill, Fishponds, Bristol, BS16 1DD. If you'd like to make Glenside your new home, find out how and when to apply.